Special promotion available for college students and staff: 3 upper level options starting at $50 per ticket; first 100 tickets purchased will meet inside the MetLife Central and form a hi-five tunnel to welcome Jets ?players and coaches as they enter the stadium; discounted parking; deadline for purchase is one week prior to game date. Dolphins vs. Jets, Dec. 1 at 8:30 p.m., Patriots vs. Jets, Dec. 21 at 1 p.m. Download flyer for complete details, rules, and link to order. 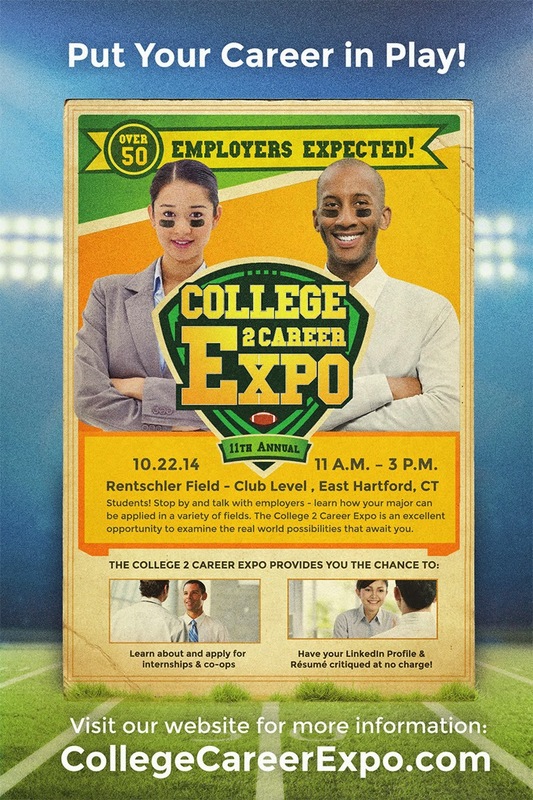 For more information, contact Brian Aiello with NY Jets, baiello@jets.nfl.com, 973-549-4883. The Connecticut River Academy and Goodwin College will celebrate the arrival of a brand new freshwater research vessel, the R/V Goodwin Navigator, when it arrives packed with eager environmental science students at the CTRA dock at 9:30 a.m. on Thursday, November 6. The boat is the only freshwater school research vessel in the region, and will offer students unprecedented access to the Connecticut River for environmental studies. During the welcoming celebration, the boat will travel from Glastonbury up the river to the dock at the Connecticut River Academy. This event is open all members of the Goodwin community and tours will be available afterwards. In case of inclement weather, the celebration will be moved to 9:30 a.m. on Friday, November 7. For more information, contact Alex Henschel, Magnet School Specialist, at 860-913-2181 or ahenschel@goodwin.edu. Thirty Goodwin Students in the MOVE and WISE programs are participating in the Cardboard City Sleep Out hosted by Journey Home at the University of Hartford from 6 p.m., Friday, November 14, to 7 a.m., Saturday, November 15. 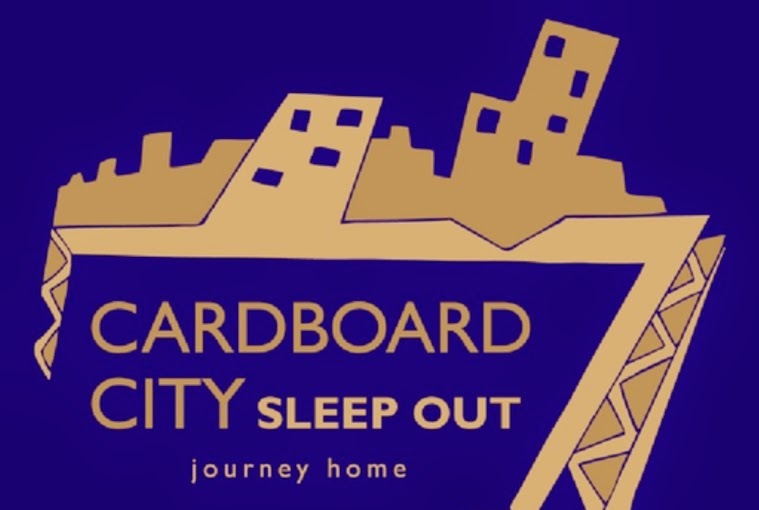 Cardboard City Sleep Out is a youth-based advocacy and awareness event centered on the issues of homelessness. It provides a chance to bring together a large, diverse group of college students to help gain an understanding of homelessness in their community, while empowering them to create the change needed to end it. Please support Goodwin students and Journey Home, Inc, by donating to help end homelessness in Greater Hartford at http://www.razoo.com/story/Goodwin-College-Move-Wise?referral_code=share. Download flyer. Questions? 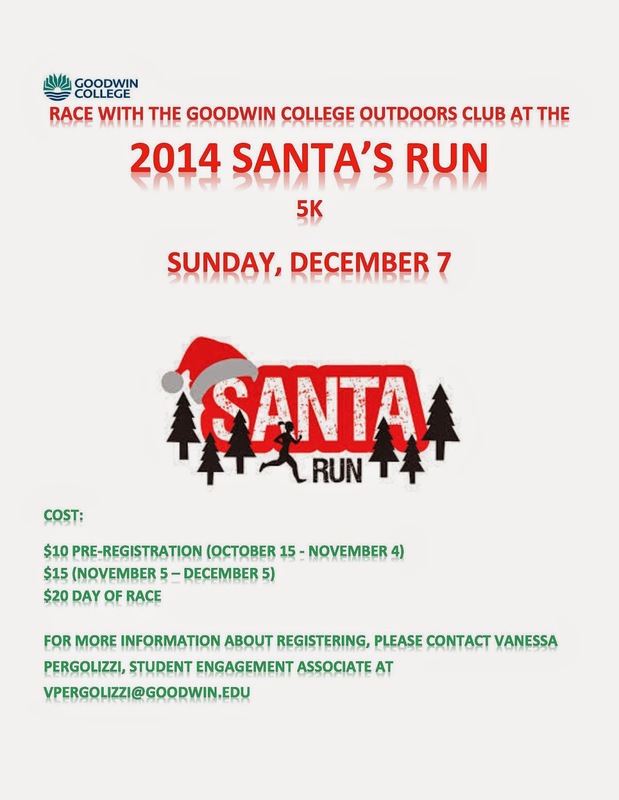 Contact Kelsey Woodford at 860-727-6988 or kwoodford@goodwin.edu. 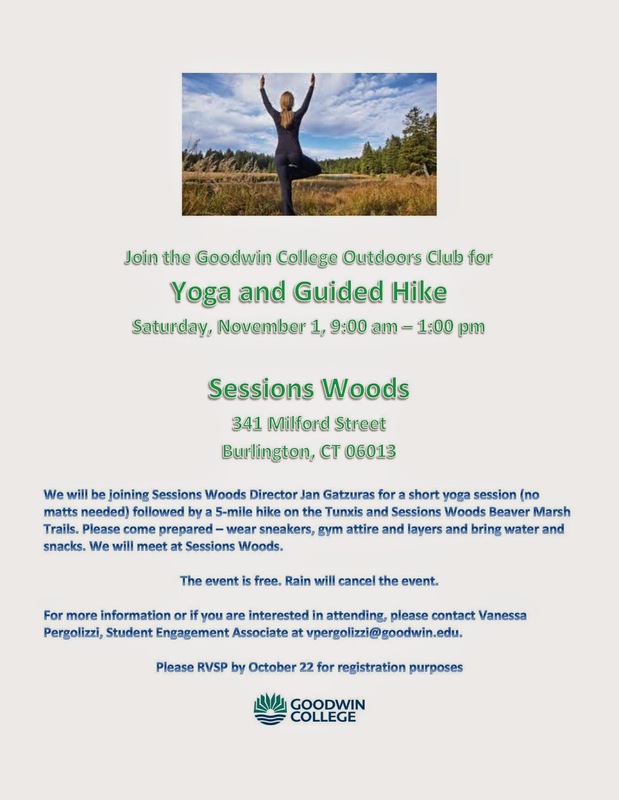 SERVE UP FUN WITH THE GOODWIN FITNESS CLUB! 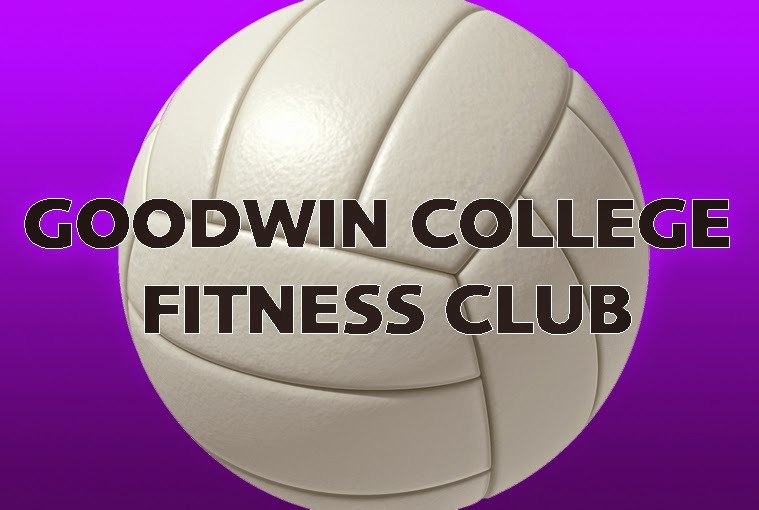 Join the Goodwin Fitness Club for some volleyball action on Wednesday, November 5, and Wednesday, November 19, in the CTRA gymnasium. Both sessions at 6 p.m. Sign up with Ali Welcome at the front desk in the main building lobby or look for the sign up sheet outside Room 132. The Poetry Club is hosting an Open Mic in the Auditorium on Thursday, December 4, from 4:30 to 6pm. Calling all creative writers to come and share your work! 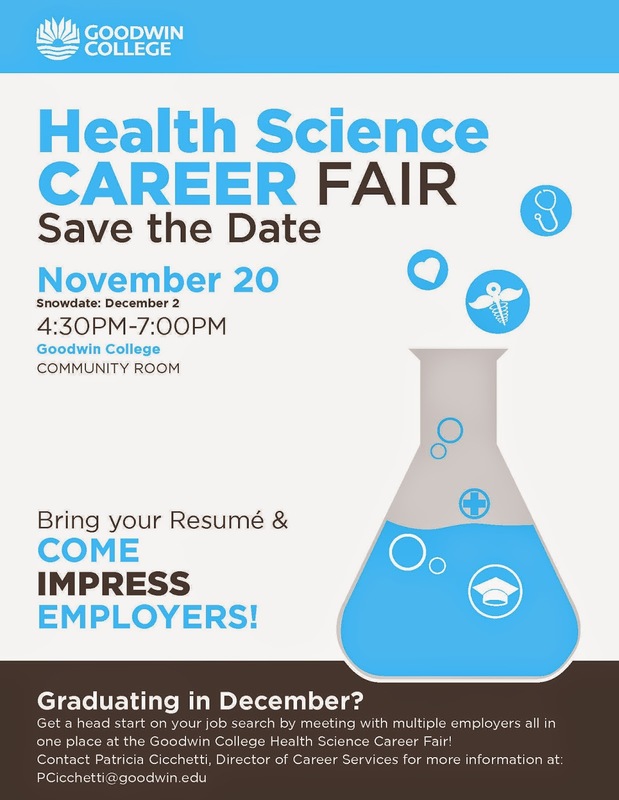 Please contact Cynthia McHale-Hendricks at hendricks@goodwin.edu with questions. 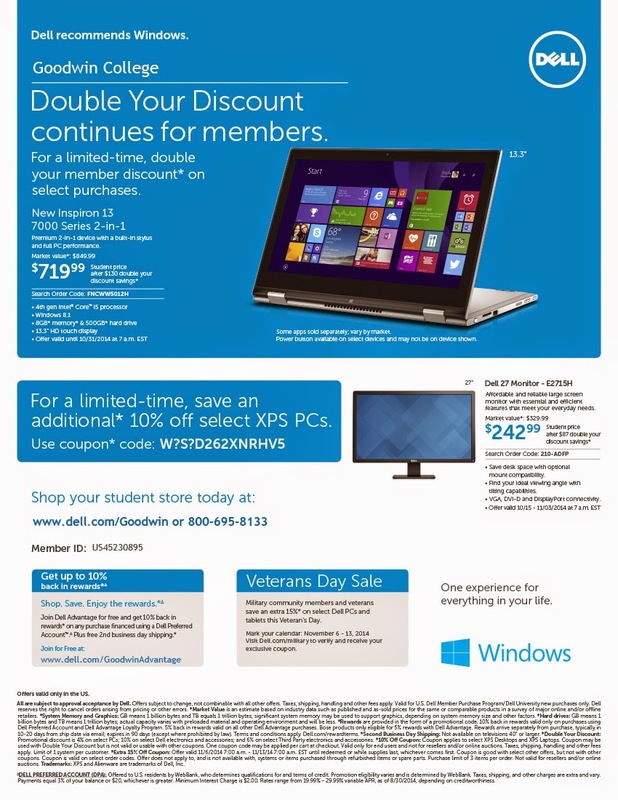 Did you know that Apple offers educational discounts for Goodwin students, faculty, and staff purchases? 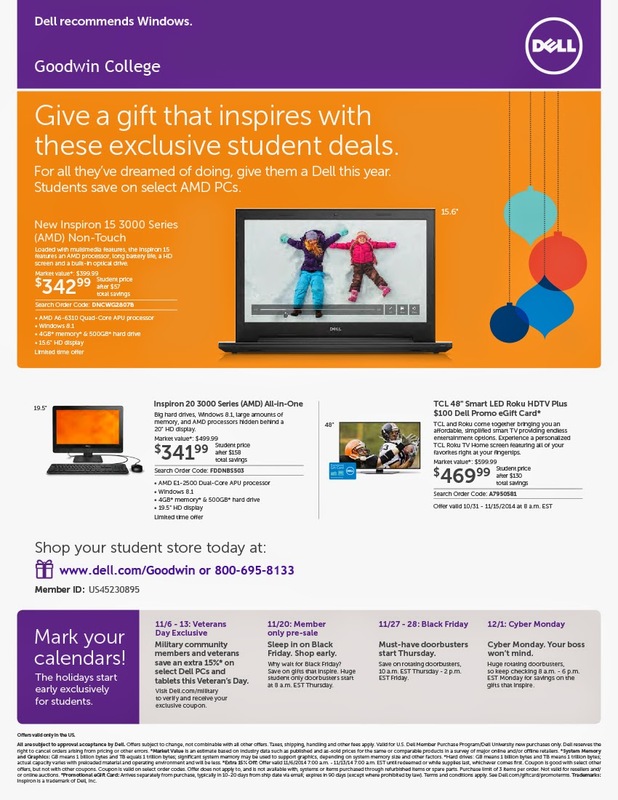 Go to http://store.apple.com/us-hed/findyourschool, search for Goodwin College, and make your purchase online. Registration for the spring 2015 semester will begin on Monday, November 10, 2014 at 7 a.m., ending on Sunday, November 23, 2014 at 11:59 p.m. Late registration will open on Monday, December 8, 2014 at 9 a.m. If you do not register during the normal registration dates, you will need to visit the Business Office to pay the $100 late registration fee. You may contact the Assistant Registrar with questions at rstraub@goodwin.edu. 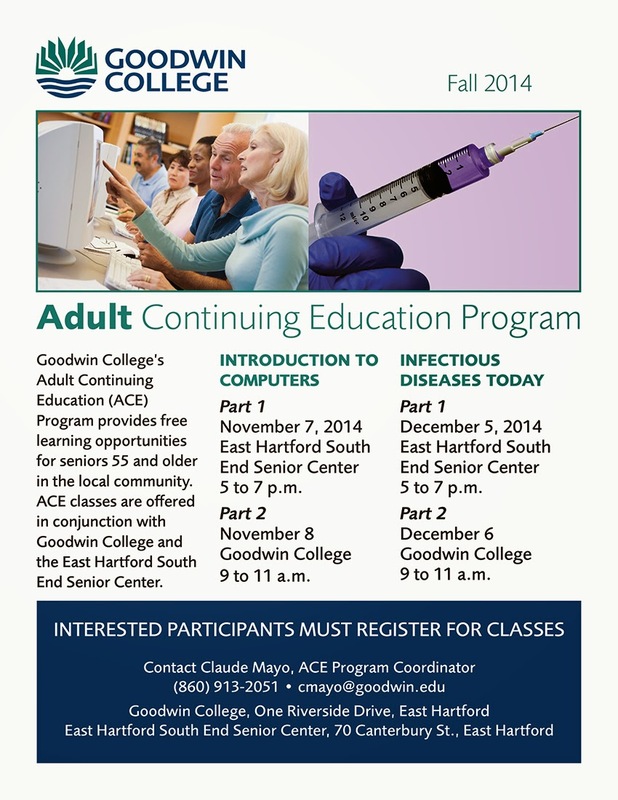 Goodwin College has announced its fall 2014 Adult Continuing Education (ACE) offerings. The classes — free of charge to seniors 55 and older — are offered in conjunction with the East Hartford South End Senior Center. All courses are presented in two-part sessions at the Goodwin campus and the Senior Center, 70 Canterbury Street, East Hartford. Introduction to Computers: Part 1 on Friday, November 7, 5 to 7 p.m. at the Senior Center and Part 2 on Saturday, November 8, 9 to 11 a.m. at Goodwin College. Infectious Diseases Today: Part 1 on Friday, December 5, 5 to 7 p.m. at the Senior Center and Part 2 on Saturday, December 6, 9 to 11 a.m. at Goodwin College. If you know of a senior citizen who might be interested, please pass along this information. Participants must register for classes by contacting ACE Program Coordinator Claude Mayo at 860-913-2051 or cmayo@goodwin.edu. 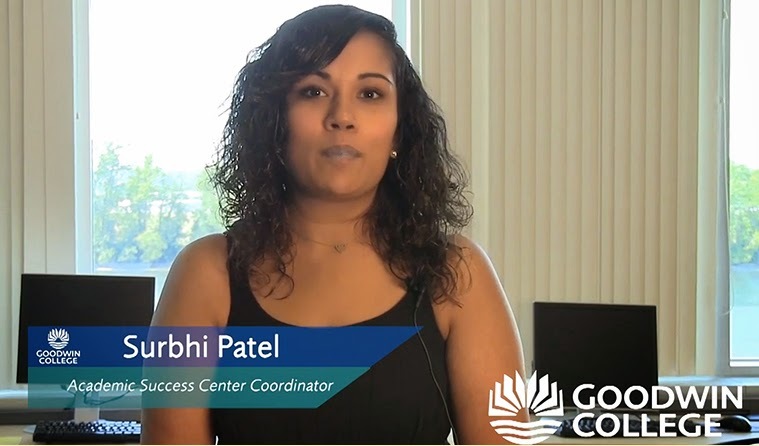 Check out the new video, produced by Kevin Gardner, the Academic Success Center, and the Academic Success Tier II Committee, on how the ASC is helping Goodwin students make the most of their educational opportunities every day! The Early Childhood Education Club will sponsor a Family Game Day on Saturday, November 8, from 12:30 to 2 p.m. in the auditorium. Admittance to the events is the contribution of a non-perishable food item. Snacks and beverages available for purchase. 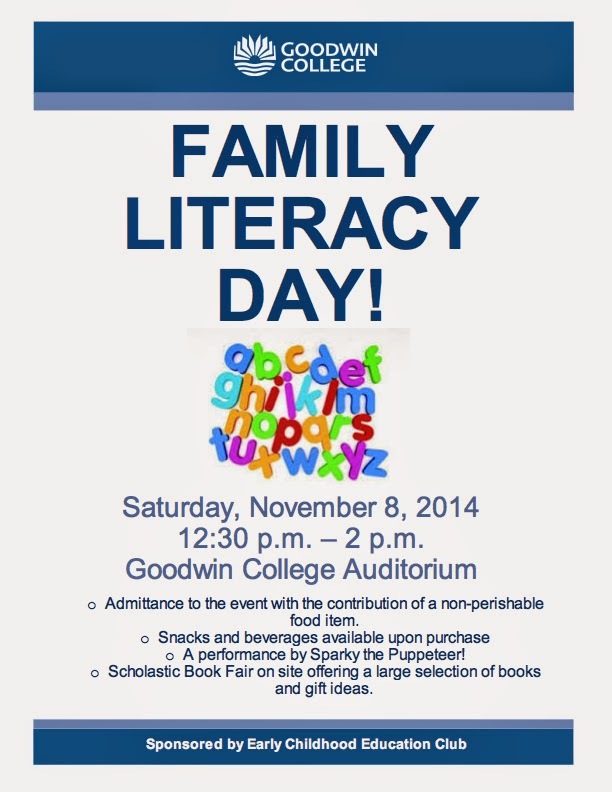 Activities include puppet show and Scholastic Book Fair! National Medical Assisting Week, October 20 to 24, is sponsored by the American Association of Medical Assistants to recognize the importance of Medical Assistants in the health care field. In honor of National Medical Assisting Week, Goodwin’s Medical Assisting department will host two small gatherings at 403 Main Street, on Monday, October 20, from 11 a.m. to 1 p.m. and from 4 to 6 p.m. for current Medical Assisting students and faculty. Please note that the location and times have changes from previous announcements. Cake, coffee, activities, and the chance to socialize and celebrate the great work that goes on in our Medical Assisting program! Make plans to join us for this event. Please contact Nicole Green at ngreen@goodwin.edu with questions. 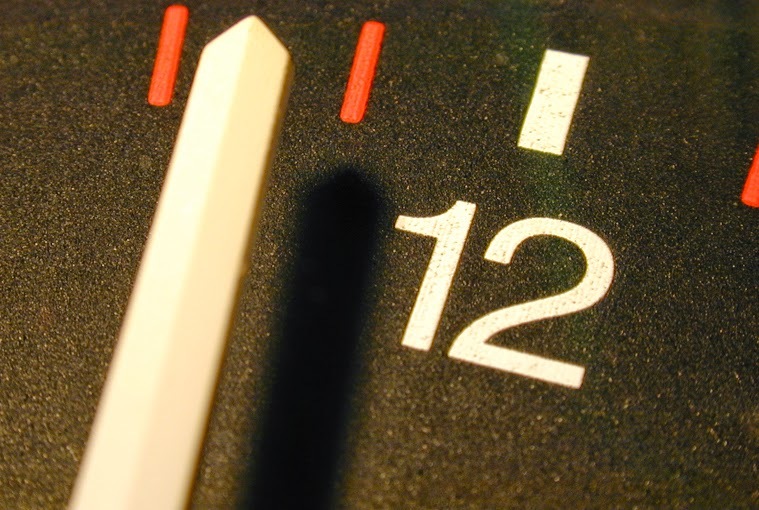 Daylight Saving Time ends and reverts to standard time on Sunday, November 2. Clocks are moved backward by one hour at 2:00 AM daylight savings time, and the time becomes 1:00 AM standard time. The National Fire Prevention Association and the U.S. Consumer Product Safety Commission recommend that consumers change the battery in smoke and carbon monoxide detectors when they change their clocks. Other clocks and appliances to consider: kitchen stove, cameras, answering machine, alarm clocks, VCR, car, cell phone, PDA, microwave, watch, GPS, central air conditioning, analog devices, and electronic thermostats. There seems to be some confusion as to what a student’s email address is in the new Microsoft 365 system. It is the same as before; this has not changed. Your email address will always be the first initial of the first name, followed by the entire last name, followed by @student.goodwin.edu. So, for Dan Rego, the student email would be drego@student.goodwin.edu. Keep in mind that if there are multiple people with the same name, there may be a number before the @ sign, like drego1@student. The ONLY time you will need your SonisWeb ID, like DR5548662@student.goodwin.edu, is when you are signing onto the O365 site, but it is NOT your email address. If you need further assistance, please contact the Goodwin College Helpdesk at 860-727-6743 or stop into the IT office in room 136 of the main building. 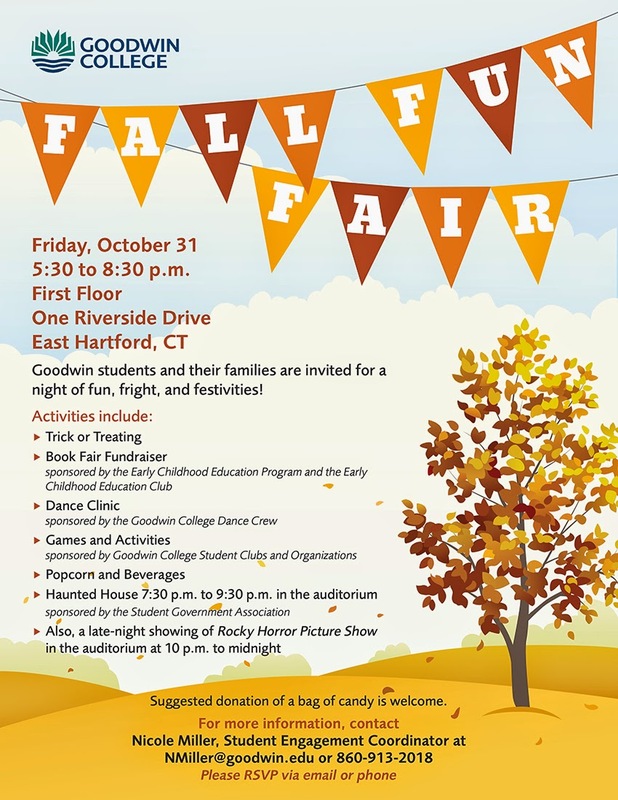 Have a howling good time at the annual Fall Fun Fair on Friday, October 31, from 5:30 to 8:30 p.m. on the first floor of One Riverside Drive. Goodwin students and their families are invited for a night of fun, fright, and festivities including trick or treating, book fair, dance clinic, snacks, and a haunted house. 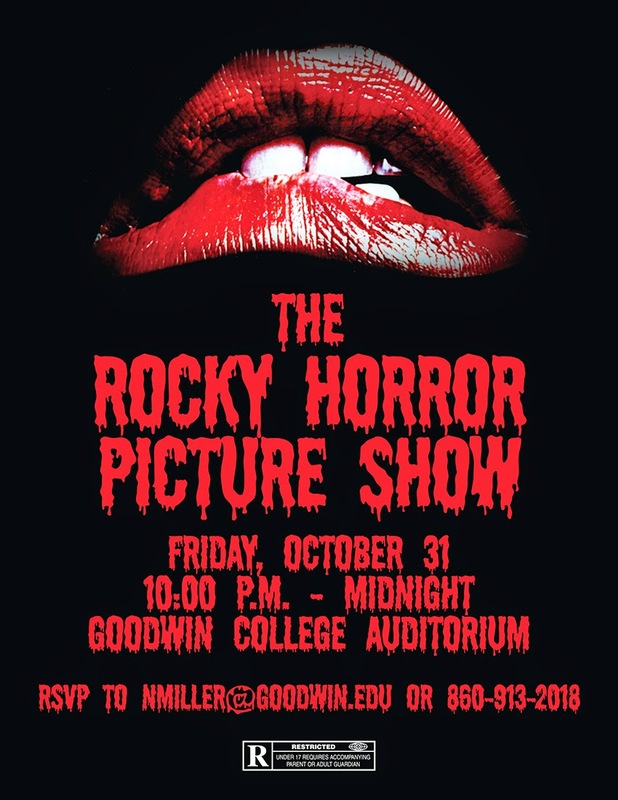 Late-night showing of Rocky Horror Picture Show at 10 p.m. Suggested donation of a bag of candy is welcome. 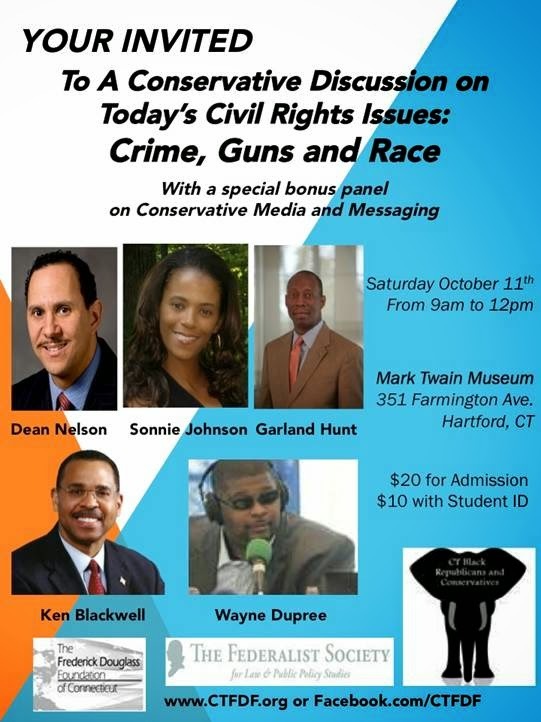 For more information, contact Nicole Miller, Student Engagement Coordinator, at NMiller@goodwin.edu or 860-913-2018 RSVP via email or phone. 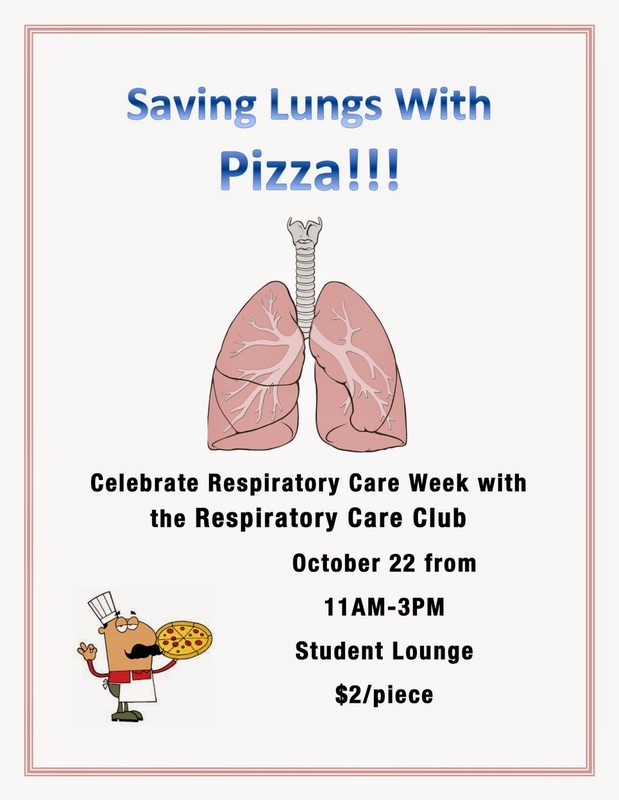 Celebrate Respiratory Care Week at the Respiratory Care Club’s pizza sale on Wednesday, October 22, from 11 a.m. to 3 p.m. In the Student Lounge. Pizza is $2 per piece. A trolley will be available to transport any interested Goodwin College students to Rentschler Field and then back to Goodwin College. The trolley will leave the Goodwin College campus (outside of the front doors) at 11:15 am and return to Goodwin at 2:15 pm. 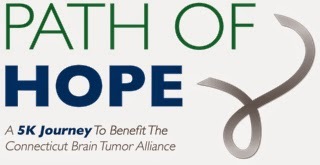 The Path of Hope, a 5K walk to benefit the Connecticut Brain Tumor Alliance (CTBTA), will be held Sunday, October 5, 2014 at 9:00 a.m. at Hammonasset Beach State Park, 1288 Boston Post Road, Madison Connecticut. The event will be the first 5K walk to benefit the CBTA, which seeks to provides hope and support for those affected by brain tumors throughout Connecticut, raise awareness of the disease, and fund research for better treatment and the cure. A Goodwin College student has created a College team, with 3 participants so far. For more information on the walk or to register, visit http://ctbtapathofhope.dojiggy.com, or to join the Goodwin College team, visit http://ctbtapathofhope.dojiggy.com/goodwincollege.